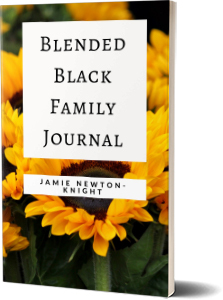 My name is Jamie Newton-Knight and I am the Blended Black Family Strategist! I help women, who feel overwhelmed by the drama and lack of boundaries in their blended families and are READY for a SHIFT, learn to let go of the pain and co-parent in a more positive way. My goal is to equip blended families with the tools they need to tackle some of blended families top issues and to help families make their blended journey as drama-less and stress free as possible. Through my Coaching, I want to show families how to venture on this blended path with ease and success! By submitting the form, you will receive occasional communications from Blended Black Family. I don’t spam. You may opt-out at any time.